Me encantó la fiesta de verano, seguro que repito más veces! Ambiente guay y tranquilo. Puedes pedir comida tex mex para picar algo antes de tomarte las copas. En particular muy bueno el Atlántico, que viene a ser el cocktail de la casa. 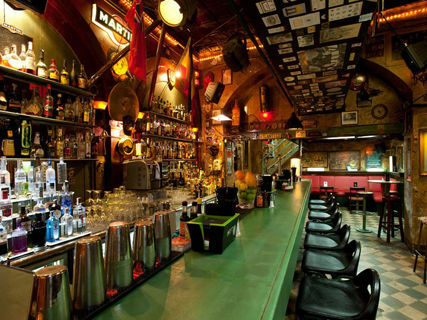 Como es un bar bastante variado, es genial para practicar idiomas. Unas cañas en el Atlántico no fallan! Que grandes! 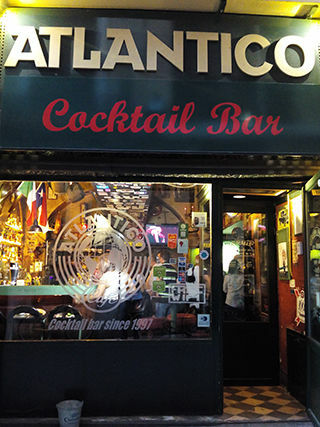 Located at Palma's old town, ATLANTICO sums up a long running welcoming tradition that started back in the sixties by the legendary "Texas Jack's Bar." The walls are filled with the testimony by these who visited the place since the early days, the legacy continues... ATLANTICO offers you every night over 30 cocktails, plus all time best rock, blues and soul music.